When considering a new steel building, time spent on the design is essential. This steel building should hopefully serve you for the next 30-50 years. John Sisson Contracting will talk through various aspects of the design with you and look at your current and possible future demands of the building. 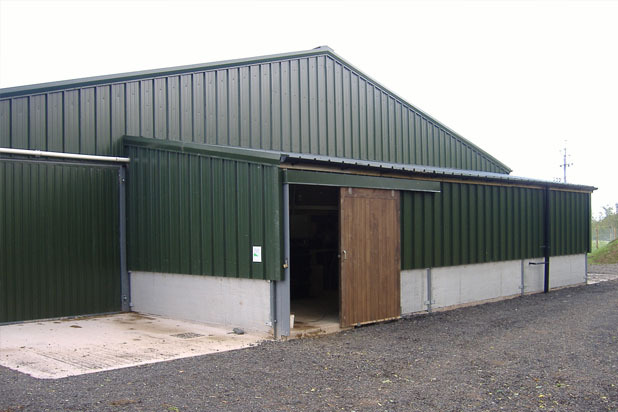 We can advise on building purpose and if an agricultural building, animal housing requirements, crop storage capacity, ventilation issues, access requirements, cladding materials and a host of other issues to enable us to design and build the ideal building for your needs. All our buildings are designed in line with BS EN1090 using the new Eurocodes with allowances for British Standard BS 5502 on Agricultural Buildings. Since the Construction Products Regulation came into force in 2014 it has been a legal requirement for all structural steelwork to be CE Marked. John Sisson Contracting have passed the Audits for this and hold a Certificate of Conformity with BMTRADA. For more info on this please contact us. We design and fabricate our buildings at our own workshop at Penton Carlisle in Cumbria. Our buildings are made with cold rolled steel. This type of steel is both high tensile and very durable. Cold rolled steel is incredibly strong, but lighter than hot-rolled steel. This means the combination of cold-rolled steel and portal frame method allows relatively small steel sections to span long distances. We employ solid construction techniques in our buildings to ensure that they are built to the highest standard and have maximum strength and durability. 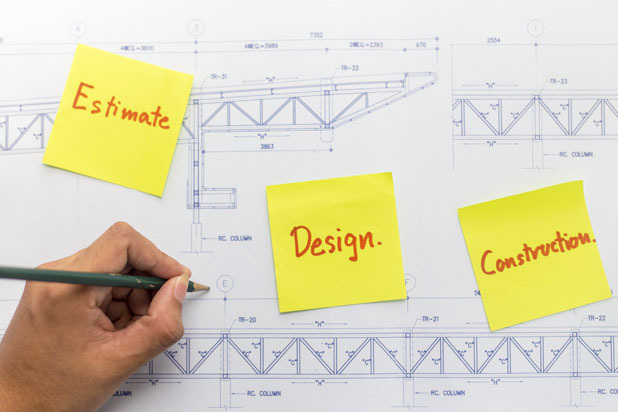 Most new buildings will require planning consent and John Sisson Contracting can start right at the beginning of the building process by handling your planning application for you or assisting with it. We fully versed in Local Planning Authority requirements for planning applications and have plenty of experience in obtaining Agricultural planning consent with 100% success rate with both Full Planning consent and Prior Notification Applications. John Sisson Contracting can provide scale plans for your application or provide a full applications service. We also have services from recommended Architects & Planning Consultants that we can utilise for more complex building developments. John Sisson Contracting are able handle planning issues that may arise with your proposed steel building. 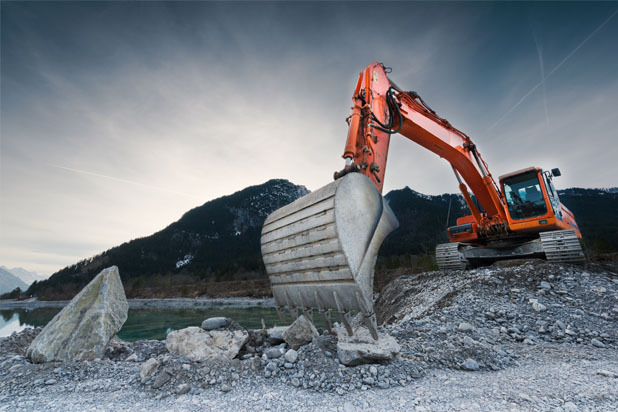 The site preparation and setting of Foundations are fundamental to the construction of any quality building. John Sisson Contracting recognise this and are very proud of our meticulous attention to detail with Foundations. We will advise the Customer on the Groundworks required to prepare a site and can provide this Service where required. 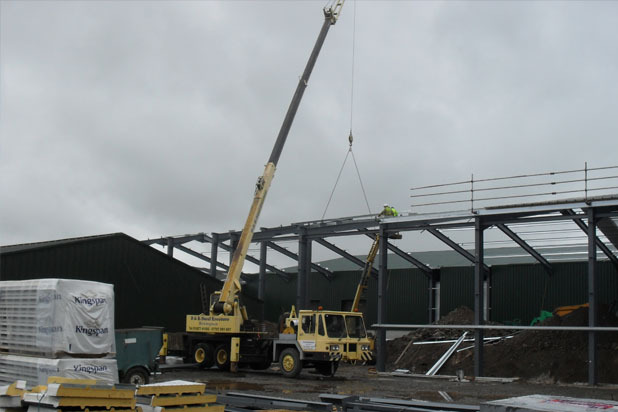 All our steel building erecting is performed by our own staff. We don't sub-contract this stage of the process. We believe that this ensures that the building is erected with the same attention to detail as we apply to the design and fabrication process. Our erectors work in a safe, skillful and competent way during the construction of the building. We aim to complete the erecting of all our buildings on time and on budget. 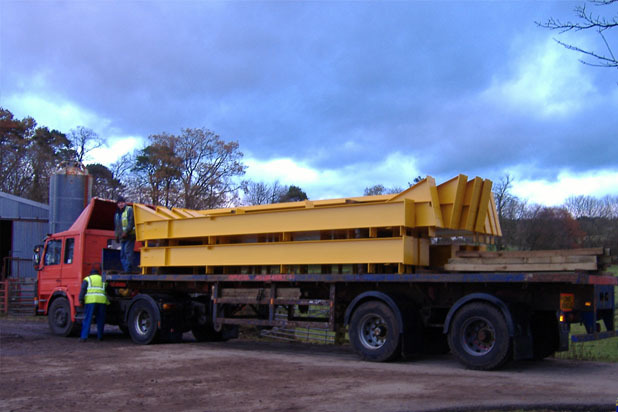 Other materials used during this process or for finishing purposes include timber, galvanized steel purlins & supports, fibre cement sheeting, box profile steel sheeting, insulated composite panels, pre-stressed concrete panels & doors are all sourced from reliable, quality suppliers with whom we maintain excellent working relationships with. John Sisson Contracting are often asked to refurbish old or existing steel framed buildings. This can involve smaller jobs like replacing gutters to bigger jobs like stripping existing cladding and supplying and fixing new. This can often make an ageing building look like new again or even change the use of a building to suit a new requirement. We also carry out repairs to buildings from replacing broken rooflights to fabricating and fitting new steelwork. If you want to erect your own steel building, John Sisson Contracting, can supply your steel framed building in pre-fabricated kit form. 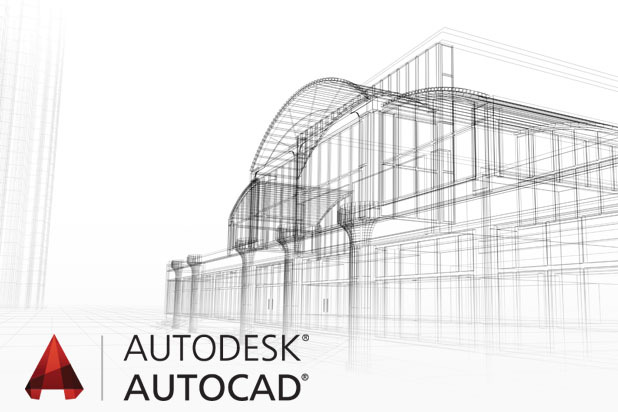 We can supply you with detailed structural drawings and planning permission. We supply the steel pre-drilled and cut together with the fixings required. For a quick quote please fill in our brief online form or give us a call on 07903426815. PROUD TO DO BUSINESS IN BRITAIN!